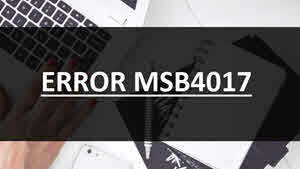 ERROR MSB4017: Could not run the "GenerateResource" task because MSBuild could not create or connect to a task host with runtime "CLR2" and architecture "x86". Please ensure that (1) the requested runtime and/or architecture are available on the machine, and (2) that the required executable "C:\Program Files (x86)\MSBuild\14.0\bin\MSBuildTaskHost.exe" exists and can be run. This may happen when the build system is running out of the build process. This is a feature introduced in Visual Studio 2012 and the error can happen in older versions too. To resolve this error, you need to disable the out of process task host. Right-click on Computer and then navigate to Properties | Advanced system settings. Click Environment Variables... button to open the dialog. Now, under the System variables panel, click New... button. Enter the Variable name as DISABLEOUTOFPROCTASKHOST, and enter the Variable value as 1. Click OK | OK | OK to save the configurational details. You may have to restart the system in order to apply the configurational changes. 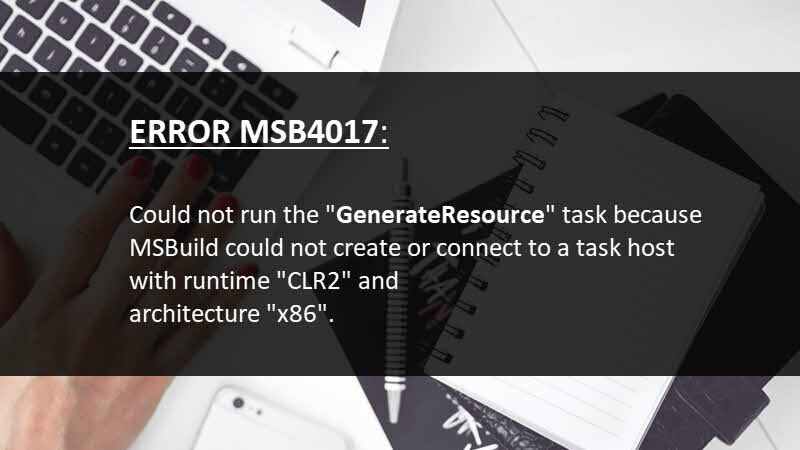 If you have come this far, it means that you liked what you are reading (Could not run the "GenerateResource" task because MSBuild could not create or connect).